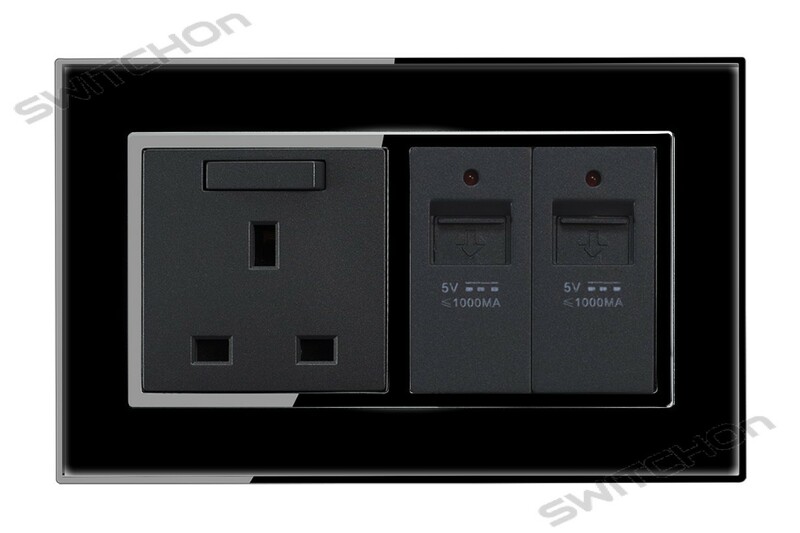 Our USB charging sockets are a combination of a 13A plug socket and 2 individual USB charging outlets giving you great looks with flexibility and clutter free space when it comes to charging your devices. The Mirror range consists of a high gloss acrylic finish with a striking chrome trim. 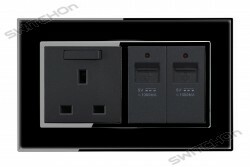 The USB charging ports come with our unique shutter safety mechanism to avoid unintentional items entering the USB ports. The charging outlets also feature an LED charging indicator.